Living in New Zealand, during the colder months people generally flock to either South East Asia or the South Pacific. I opted for the cheaper option and headed to Fiji. Rather than staying on the mainland, I wanted to do some island hopping and see what the outer islands had to offer. Awesome Adventures Fiji (AA) has a monopoly in the island hopping business. I mean, you can still get between islands yourself but once you add on all the boat transfer costs it’s best to have gone under one of AA’s packages. I’ve been to Fiji twice, and twice I have gone with this company. Going to Fiji, I didn’t want the norm of sitting by the pool side or beach side at some 3 or 4 star resort, but more so get a taste of what the villagers life are like on these islands. 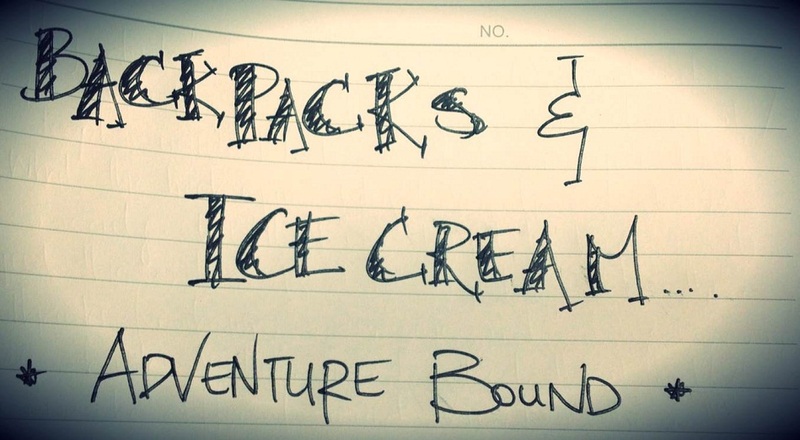 Awesome Adventures is a touring company, however, it isn’t as ‘touristy’ as one may think. These packages offer holiday packages for budget and independent travelers, but I have also seen some family’s go with this company as well. They own and operate their ferry, the Yasawa Flyer, and journey to nearly 20 islands in the Mamanuca and Yasawa groups. They also affiliate themselves with more than 30 resorts on these islands. The packages they offer are either pre-prepared or if you want a bit more flexibility then you can select their Bula Passes, which gives you vouchers for your transfers, accommodation and meals. You just book the islands or resorts you want to stay at as you go (subject to availability of course). I think what they are running here is a great idea and having been back twice; those who have booked with this company are over the moon about the service they get and what they receive for the price- quantity and quality. 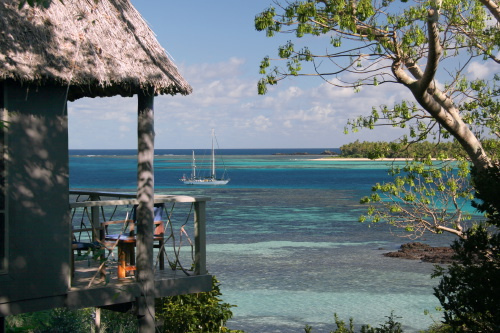 I’ll go over a few of the memorable islands I visited in the Mamanuca and Yasawa groups. The first two are my favourites and I would give my highest recommendations. 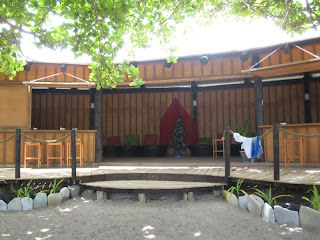 All islands you visit will welcome you with a traditional Fijian welcoming song, maybe some leis and a nice cool drink. They either take you up to a wharf, or you get let out into about knee height water and you make your way to the shore from there (which I prefer, as it can be quite entertaining watching us foreigners try to find the best and most flattering way out of a rocking boat). The reason why I love this island are the staff who run this place are the sweetest people you’ll meet. All Fijians are like this, I’ve noticed, but here it doesn't seem forced or fake, it’s natural and real. The men also have some character and they know how to joke! This island is also very eco-friendly. They don’t have any flushing water; their loos are actually very fancy long drops! They use a composting technique and miraculously the toilets don’t smell at all! As you pull up to the island, you know instantly that you have arrived into paradise. 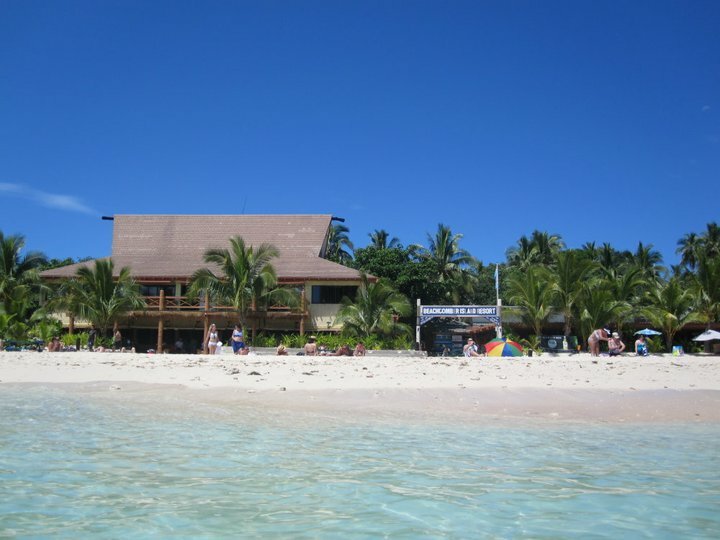 Long stretches of sand, coral reefs can be seen through the clear waters, hammocks, a bar and resting area right by the beach. There is thatched roofing and wooden structures to give it that natural, environmental feel. The thatched roofing is just for looks though, they do have corrugated iron underneath that just in case it does rain. They have three room type options: dorm, double/twin with shared facilities or a double/twin with a private bathroom. The dorm room has about 32 beds, 4 beds in each little unit. It’s an open style type of dorm room and each bed conveniently comes with their own mosquito net. Even though it is quite open, you’ll find those staying here are considerate and quiet so not to disturb those that are there to just sleep and relax. The next room type up is just a basic double bed (or two singles), a sliding door to a balcony, a couple chairs, and a ceiling fan. All you need really if you don’t mind using the shared facilities. This is what I stayed in and loved it. The food served here is amazing too! I was told the head chef used to be the head chef at a 5 star resort on the mainland...not a bad deal. I paid for full board, so breakfast, lunch and dinner included. Drumbeats signal when it’s meal times, a sound I looked forward to each day. Breakfast is buffet style, something hot and cold with coffee and water. With lunch and dinner, you could choose which option you had wanted off a list on the board. And I mean there are options, not just 2 or 3 but about 5 to 8 most days. A good selection too! You never go hungry in Fiji. Here at Mantaray, they have two bars. The beach bar, and if it’s bad weather they relocate the party to the restaurant bar. Full selection of beer and liquor. Also, entertainment is put on nearly every night by the staff whether it be traditional Fijian dancing, or to have a laugh at our expense some limbo action. Party ends when the last patron goes to bed, whether it be in their room or on a lounger on the beach. If you wanted to do a bit more than just getting your summer tan, they offer snorkeling trips, diving expeditions (beginner or advanced), arts and crafts, village visits, hikes and more. If you're the talkative type, you can just sit down with any one of the staff on the island and they are happy to tell you their life story over some kava (traditional Fijian drink made out of roots, can be quite potent depending on who makes it). Now, most of you have probably heard of this island. If you have you may probably know it as the 'party island'. I can say this is true, however, it doens't have to be! You can choose to be a part of the nightlife there, or you can head away to a quiet spot on the beach away from that scene. Most of the guests are of the younger, wilder type but it still doesn't mean it can't be a relaxing place. The sand is white; water is clear. There are loads of water sports available here and this is the gateway to a day trip out to Monuriki Island, the island where Castaway was filmed. This island is a little more 'touristy' however, I do like the vibe of it. The main dining/bar area has a good atmosphere to it and a couple nights a week they do a themed night, e.g. bbq dinner or hawaiin...etc. Buffet meals for breakfast, lunch and dinner and a mix of Western and traditional Fijian. Also, the last few days of the week a band comes to play and boy do they know how to play their covers! Again, staff here are friendly and if he's still working there when you go, there is a barman called Claude who is the sweetest man you'll ever meet! He also knows how to make really good cocktails as well, so another bonus. They have all room types here as well. 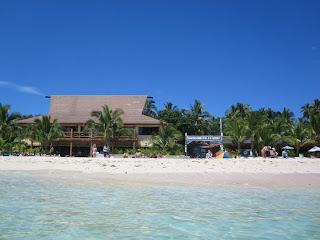 Either dorm or private (each private room has an ensuite) or beachfront bungalows. 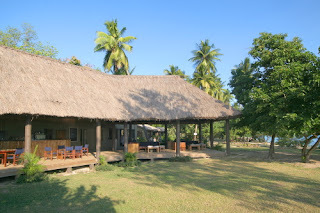 All the rooms are very traditional Fijian but clean, spacious and comes with a mini-fridge and ceiling fan. 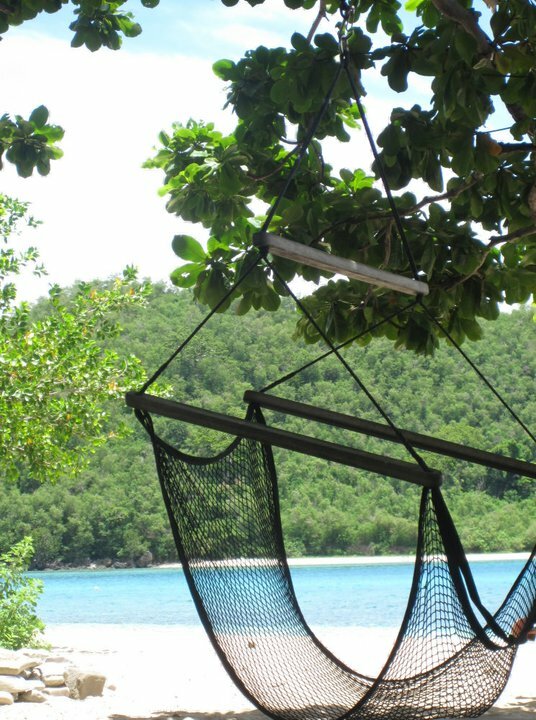 All the beachside bungalows have their own balcony and hammock as well, a nice way to unwind after a day in the sun. Now, I didn't stay here but visited and had a look around. When I have enough money I definitely want to come back here and stay for a couple nights. It is a more resort style accommodation about 6 to 8 hours boat ride from the mainland and the rooms are beautiful! Being so far north from the mainland, the sand here is softer and whiter. This is also around the corner from Blue Lagoon, which is where the movie 'Blue Lagoon' was filmed, hence the name. This resort is truly paradise. It is quiet, private and a haven for those just wanting to relax. There are beachfront bures or tree top ones. Personally, I would go for the tree top option. You do have to walk up a few steep hills and further away from the restaurant and beach, but the view from your balcony is definitely worth it. The bed faces the sliding door and balcony, leave the curtains open and you are waking up to paradise and wonder if life could get any better. As per normal, staff are very friendly! And again, food is delicious! As this is more resort style it is a la carte and slightly more expensive, so this is definitely for those that are not on a budget and are happy to splurge a little bit. There is not much else to say here except you can either do everything, or do nothing. Your choice!